​All donations made to United We Om are 100% tax deductible as allowed by law. Think of how much Yoga has meant to you and then offer what you can from your heart. 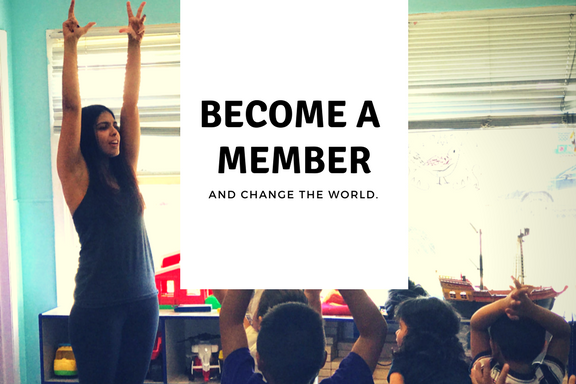 For as little as $9 a month, or $108 a year, you will become a sustaining member of our community. Give new or gently used mats and yoga props, or donate your space for a United We Om class. Bring your community and friends together in the spirit of service and help provide practice to the under-resourced. Offer your time and your skills to help grow our positive impact and join our family of Karma Yogis.